Three obvious questions at least arise. First, if Ban did in fact say this to Rajapaksa about the UN panel, why did Ban's read out mention only Rajapaksa own commission, and not the UN's? Can one believe in and rely on the UN's summary of Ban's meetings? Also, if Ban said what Rajapaksa attributes to him, isn't this totally undermining any power the panel had? Third, if Ban didn't say this, when is the UN going to request a retraction or correction from the Sri Lankan government? As Inner City Press reported on September 24, the UN's summary of Ban's Sri Lanka meeting took significantly longer to issue than their summary of their meeting with the President of Nigeria, Ban's meeting just before Rajapaksa. Inner City Press' understanding of the process, from the shifting explanations given by UN officials, is that if a summary only includes what Ban said, it is issued without conferring with the government he met with. If the summary, like the September 24 UN summary of Ban's meeting with President Rajapaksa, includes something that the President said, it is a “joint” statement, negotiated and agree to with the government. In these cases, both sides -- UN and government -- are supposed to issue the same agreed to statement. But as it has done before, Sri Lanka got Ban to issue an inordinately positive, some think inaccurate “joint” summary -- and then nevertheless issued their own summary, including a quote in which Ban undermines the mandate of his own panel. How will the UN respond? Watch this site. UN's Ban & Rajapaksa, Sept 24: was UN panel mentioned, & if so, how? The Secretary-General’s discussion with President Rajapaksa focused on the need to move forward expeditiously on outstanding issues covered in the joint statement of May 2009, particularly a political settlement, reconciliation and accountability. The Secretary-General underlined that the President’s strong political mandate provided a unique opportunity to deliver on his commitments to address these issues. The President underlined that development and education in the North were integral to national reconciliation. He gave examples of progress made on reconstruction and rehabilitation efforts in this regard. The President updated the Secretary-General on the work of the Lessons Learnt and Reconciliation Commission. And what about the answers promised long ago by Ban's spokesman Nesirky about Ban's personal relationship with Rajapaksa, including prior to becoming Secretary General? Watch this site. 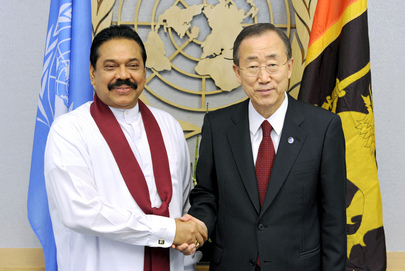 UNITED NATIONS, September 24 -- When Mahinda Rajapaksa of Sri Lanka met with the UN's Ban Ki-moon on Friday morning, Ban did not raise the slow starting UN panel of experts on war crimes in the country. Five hours after the meeting, the UN issued a terse summary of what was discussed. It mentions only Rajapaksa's own “Lessons Learnt” panel, and not the UN's. Inner City Press, covering the meeting on Sudan later on Friday with a “free range” UN pass, noted Sir Lanka's Minister of External Affairs G.L. Peiris seated on the North Lawn's second floor, reading. In his previous trip inside the UN, Peiris refused to take any questions from the Press. In Washington, he walked out of a session at the National Press Club when he thought tough questions might be asked. Neither he nor Rajapaksa have scheduled any press availability at the UN, unlike, only on Friday, the Presidents of Bolivia, Cyprus and Nigeria, to all of whom Inner City Press asked questions. While Ban met with Nigeria's Goodluck Jonathan before he met with Rajapaksa, the UN's summary of the Nigeria meeting was issued hours before the Sri Lanka one. Does this reflect greater checking with or push back by Sri Lanka? Or, some ask, ineptitude in the UN's Sri Lanka team? Its last read out about Sri Lanka came out at 10 p.m. When Inner City Press asked if it had been checked with the government, spokesman Martin Nesirky said no, there had just been a technical snafu. But how come a snafu on Friday as to Sri Lanka, and not Nigeria? Watch this site. UNITED NATIONS, September 16 -- The panel of experts on war crimes in Sri Lanka, which UN Secretary General Ban Ki-moon announced in March, is supposed to complete its work within four months of formally beginning. On September 14, Inner City Press asked Ban's spokesman Martin Nesirky why the panel had not yet even begun. Nesirky replied that it would begin later in the week, by meeting with Ban. Ban's published schedule for Thursday September 16, while listing a meeting with a Grand Master of the Urasenke Tradition of Team, did not list any meeting with the panel. 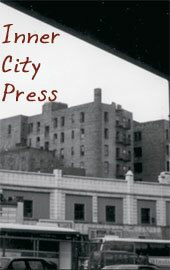 Inner City Press asked Nesirky about it. Video here, from Minute 22:38. Nesirky replied Ban's meeting with the panel would occur “today, this afternoon.” Inner City Press asked, why wasn't it listed on Ban's schedule? “Not everything is on the schedule,” Nesirky replied. What is the purpose of publishing the schedule that, if a meeting about war crimes is not listed? But Ban's meeting with, for example, the panel on the assault on the Gaza flotilla was listed. Nesirky replied, “who's panel is it?” Good question -- some now think it is Mahinda Rajapaksa's panel. 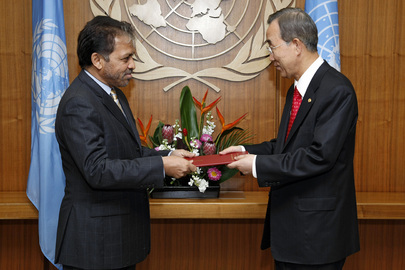 On September 14, Inner City Press asked Nesirky to describe Ban's experience with Rajapaksa prior to becoming Secretary General of the UN, and to confirm that Ban's son in law Siddarth Chatterjee, while an Indian army officer, served in the Indian Peace Keeping Force in majority Tamil areas. Nesirky said he would “get back” to Inner City Press on these. More than 48 hours later, Nesirky has provided no information in this regard. Watch this site. Inner City Press: On Sri Lanka, I wanted to ask this, since, recently there has been a removal of term limits on the president Mahendra Rajapaksa, saying that he can run forever, and The Economist magazine said that Rajapaksa has “preferred to put the consolidation of his family’s power ahead of solely needed national reconciliation.” The Government has now banned The Economist, this edition from the country. Since the Secretary-General, you know, has referred a lot to his May 2009 joint statement with Mr. Rajapaksa that includes references to accountability for war crimes and reconciliation, one — does he have any comment either on the extent that the elimination of term limits or on the banning of a publication? Two — the panel that he announced in March and that sort of convened once in July has it yet begun? Has the four-month clock begun? And just relatedly, two questions, can you describe the personal relationship of the Secretary-General with Mr. Rajapaksa, including prior to becoming Secretary-General? And, can you confirm that the Secretary-General’s son-in-law served in the Indian peacekeeping force that occupied Tamil areas of Sri Lanka during previous peace negotiations? Just as a factual matter to know what the Secretary-General’s connections to Sri Lanka are? Spokesperson Nesirky: On the term limits, that’s an internal matter for Sri Lanka. I don’t have any comment on that. On publications and the banning thereof or the difficulty of receiving in any place, our general view would be that freedom of the media is an essential part of, an essential ingredient for democracy in any country. You ask about the panel of experts — the panel members and support staff have been conducting intensive preparatory work, and indeed the panel will meet with the Secretary-General this week, marking the formal commencement of its activities. And as the final two questions, I will get back to you. We're still waiting. Watch this site. At the UN on Wednesday, Inner City Press asked Martin Nesirky, the spokesman for Secretary General Ban Ki-moon, about this reported appointment and that of General G.A. Chandrasiri to replace Palitha Kohona as Permanent Representative. Video here, from Minute 53:36. While Nesirky said he wouldn't comment on hypotheticals, when Inner City Press asked if Ban would have some discretion to not accept credentials when presented, Nesirky said he would look into it. Shavendra Silva is clearly a witness to the war crime events about which Ban has appointed a (stalled) three member panel to advise him. Would appointing him an ambassador give him de facto or de jure diplomatic immunity? 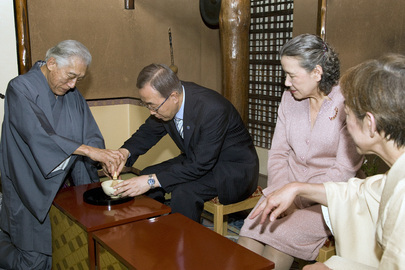 UN's Ban takes credentials from Kohona- is acceptance automatic? Inner City Press also asked Nesirky if the four month “clock” of Ban's panel of experts had finally begun. No, Nesirky said, the clock has not started but it is being wound. But why so slowly? Watch this site. 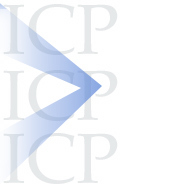 Later on Wednesday Inner City Press asked a Sri Lankan diplomat about the reported new Deputy Perm Rep and Perm Rep. “It's not yet confirmed,” he answered, adding that the entire staff of the mission in New York might be replaced. UNITED NATIONS, August 13 -- As in Sri Lanka the government's “Lessons Learnt” panel began, with a focus not on the civilians killed in 2009 but on how a ceasefire earlier broke down, Inner City Press on Friday asked UN Spokesman Martin Nesirky if the UN had any comment on Sri Lanka's or its panel, or on the court martial of former General Sarath Fonseka, whose offer to testify about war crimes the UN has apparently turned down. Video here, from Minute 13:04. Mr. Nesirky said the UN has no “new comment” on Fonseka, but had earlier urged due process. That was before the process and conviction, which Fonseka has called a sham. In the interim, Secretary General Ban Ki-moon was burned in effigy during a blockade of the UN compound in Colombo led by government minister Wimal Weerawansa. Since then, the UN has said and done almost nothing. Inner City Press asked whether Ban's panel of experts on accountability in Sri Lanka has finally begun its work, triggering the start of the four month clock to turn in a report. Nesirky replied that he couldn't “say when” the panel will start. 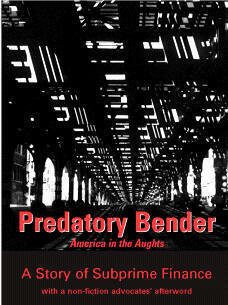 In fact, the reason being offered to Inner City Press is the illness of the spouse of one of the three panel members. Plate was asked about this section of the book, and said that it was difficult to keep it in. Afterward, Inner City Press asked Plate to explain: how had wanted the section to come out? Of all that he said Tuesday night, this was the only time that Plate asked to go off the record. We respected that, just as we respected the request to omit from coverage the presence of at least one individual and entourage. But later in the week, Ban's spokesman Nesirky repeatedly insisted that Ban has made no commitment to Plate nor to anyone else for such a profile. Since Plate unequivocally said that Ban will be the third Giant of Asia, in Inner City Press' presence and in writing, Inner City Press asked Friday if there was some meaning of the word “commitment” that it was missing. Nesirky responded that like any piece of information, it could change. Video here, from Minute 15:48. Watch this site.